Designed for passengers with challenging behaviour or learning difficulties. 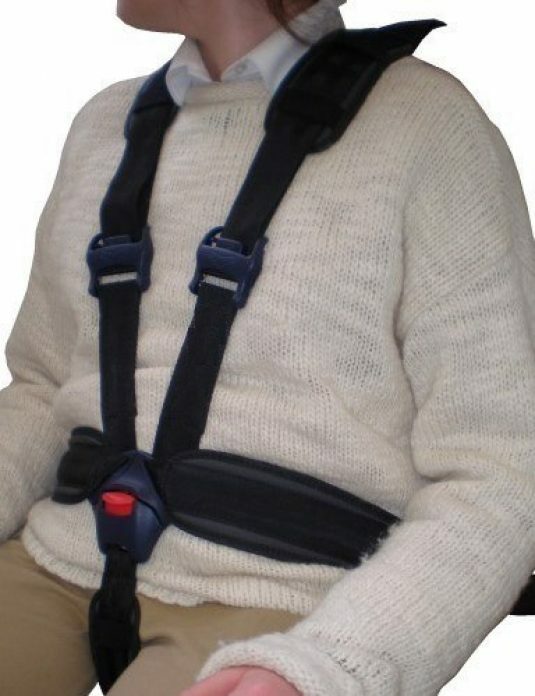 The M13 harness provides postural support for passengers in a single vehicle seat and assists in seating the occupant in an upright sitting position. All three buckles fasten behind the seat back. This version is often referred to as the “Houdini” harness as it is very suitable for those with inquisitive fingers and those who may wish to exit their seat. 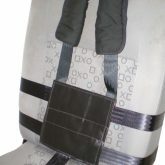 To fit the harness, easy access is required around the seat back and underneath the base of the seat cushion. 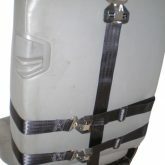 This harness is usually only suitable for mini buses use. The Houdini harness support is ideal for organisations and private use. • Wearer cannot open buckles. • Fitted when passenger is seated. • Crotch strap positions under seat. • Suitable for bus applications. M13H – Junior (5 – 8 years), with Steel Safety Buckle fitted to Shoulder Straps. 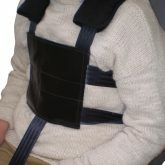 Side Press Release Buckles fitted to Waist & Chest Belts. M13JSB – Junior (5 – 8 years), with Steel Safety Buckle fitted to Shoulder Straps, Waist Belt & Chest Belt. 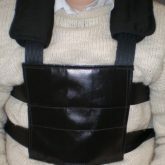 M13H – (7 years to Adult), with Steel Safety Buckle fitted to Shoulder Straps. M13HSB – (7 years to Adult), with Steel Safety Buckle fitted to Shoulder Straps, Waist Belt & Chest Belt. Note: Harness systems do not replace the vehicle seatbelt. Vehicles own seat belt must always be used in conjunction with harness supports.